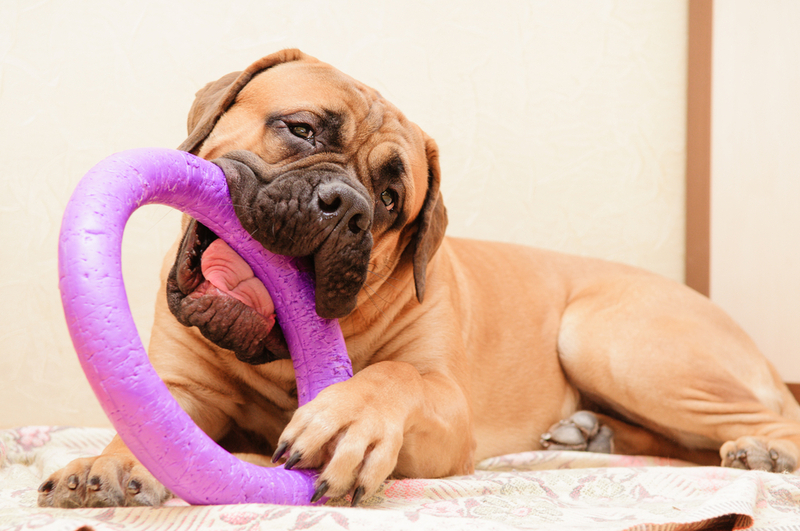 Much like children’s toys, dog toys have evolved over the years. Long gone are the days of throwing a stick for a game of catch – today, the options for playing with your dog are endless. The following toys are all a product of all the ingenious research and craftsmanship of the 21st century. The product is designed to excite a dog that loves to play catch. It is designed to withstand the pressure from the strongest of throws. This means that you can continue to play with your dog until the end of time (or until either one of you runs out of energy, at least). This toy can be chewed upon for hours upon hours and still retain its shape. It makes catch interesting since it bounces when it touches the ground, meaning that your dog will enjoy chasing and learning. Made from natural rubber, this ball can survive the wear and tear from all the roughhousing it will go through in the jaws of your dog. However, it is good for puppies but not so much for grown dogs due to its tiny size. 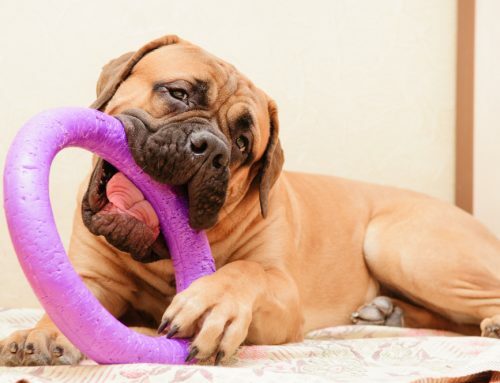 This toy is a perfect tool to sharpen your dog’s instincts. It has a “trunk” with three holes where you can hide squirrel figurines for your dog to pull out. You can use it to keep your dog busy while indoors – a great alternative to actually bringing real-life squirrels into your home! To use this toy, all you have to do is put your dog’s favorite treat inside and bait your dog by letting them sniff it. It is designed to make the dog work hard to receive their reward in the form of treats. 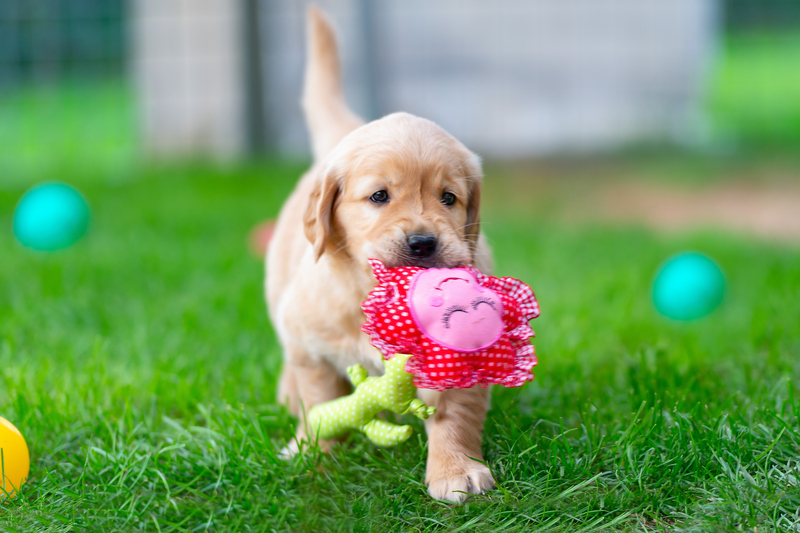 This toy is made from a nylon material that is durable and able to withstand the pressure exerted on it by tug games as well as fetch. The two outer balls allow the toy to bounce when it lands on the ground and the long tail makes it easy for you to hold on to the toy before launching it. 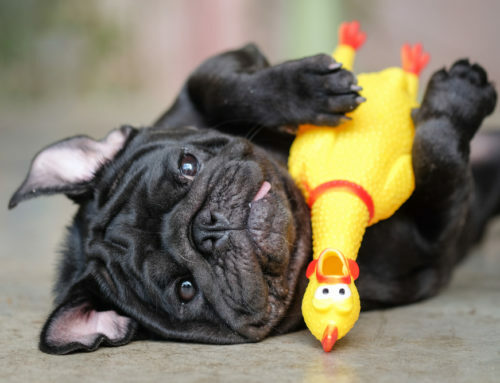 This toy produces a squeaky sound that is sure to attract the attention of your dog. It also comes in different shapes and sizes that make it an attractive to to have laying around. Dog ropes have really come a long way over the years. These dog ropes are immune to destruction by dog bites to prevent your dog from chewing and swallowing the bits that can damage your dog’s intestines. This toy is made of latex, which makes it easier to clean. It comes in different colors and sizes depending on your dog’s needs and preferences. 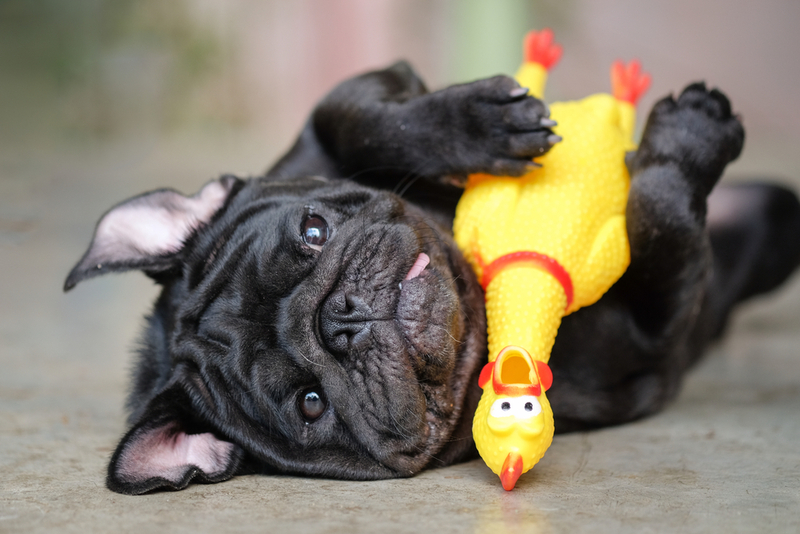 These ball toys are safe for your dog as they aren’t toxic. They have different textures to make the experience of playing with them worthwhile. Just make sure to clean it after each use to protect your dog from bacteria.